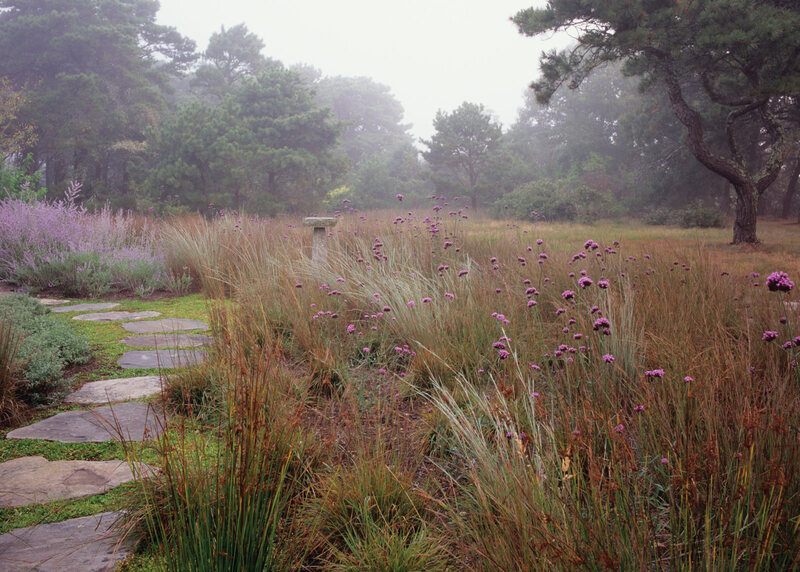 The design approach for a dramatic, 20-acre property on Katama Sound in Nantucket Bay preserves and enhances the land’s native, New England Character and optimizes the three distinct ecosystems. The property, a family-friendly retreat, shows an appreciation of the island’s woodland areas and maximizes the allure of the sweeping and rugged oceanfront. Beginning with a custom-designed gate, the entry sequence winds through a pitch-pine forest filled with sculptural pines and oaks. Fields of Festuca ovina Sheep Fescue color the meadow and add texture throughout the year. 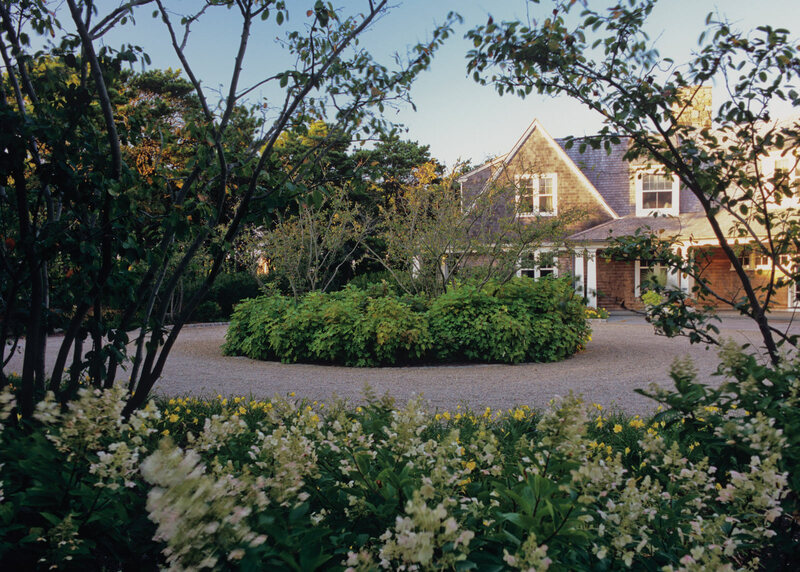 Approaching the home, a circular drive, flanked layered masses of perennials and shrubs, fits within the cultural context of the island. 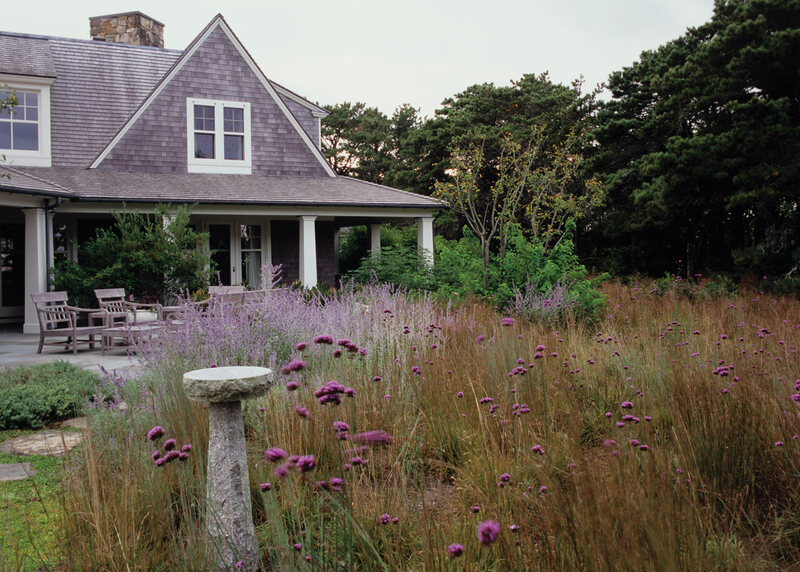 In winter, brilliant red Ilex verticillata Winterberry stand out against the home’s silver cedar shingles, as do the purple blooms of Perovskia atriplicfolia Russian Sage in warmer months. 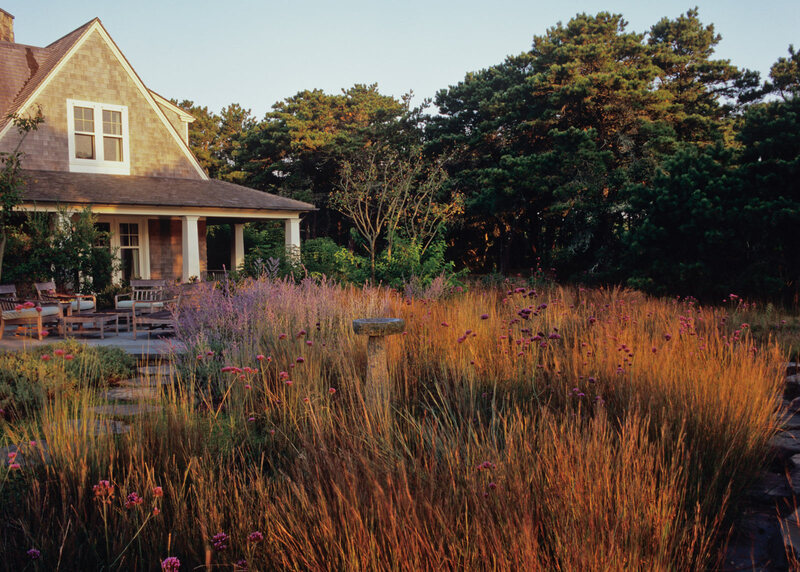 Multiple terraces, framed with intermingled collections of perennials chosen for their resiliency and wind and salt tolerance, take advantage of dramatic views of Katama Bay and the Atlantic Ocean. A low dry laid stone wall frames much of the house, and an indigenous fieldstone path meanders through the property to garden ‘rooms’ and towards a barn and vegetable garden, which are a design collaboration with the owner.